McALLEN — Victoria Sola knew that either game in the regional tournament could have been her last. The senior defender woke up with fear that her high school soccer career would end soon, but her play as part of consecutive defensive gems kept her team’s run alive. The McAllen High Bulldogs girls soccer team recorded eight clean sheets in District 30-6A play, allowing only four goals during league games. In the playoffs, McHi outscored its first three opponents 15-4, albeit without a shutout. But facing the strongest competition of the season at last weekend’s regional tournament, McAllen allowed only a single goal, including a 1-0 shutout of Austin Lake Travis in the regional final. The Cavaliers had averaged 3.5 goals per playoff game heading into the match. 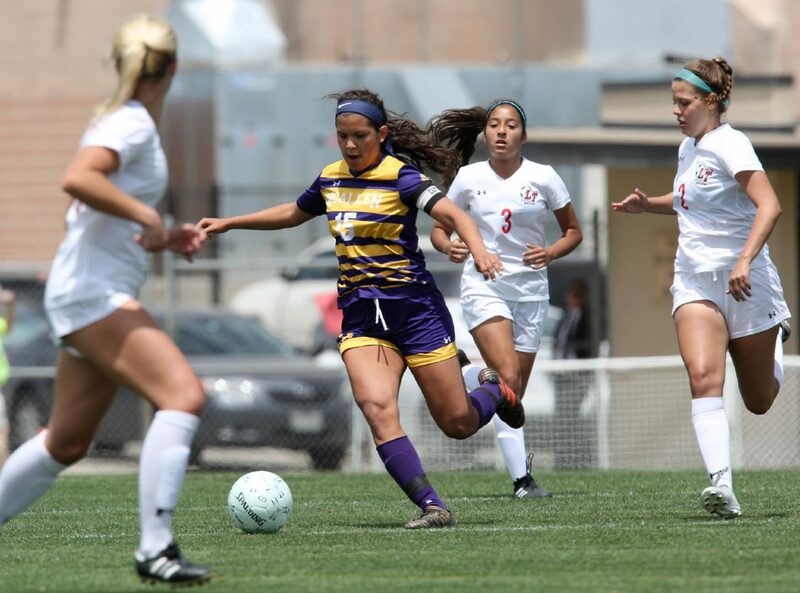 The regional wins propelled McHi to the state tournament, as the Bulldogs became the first girls team in Valley soccer history to advance to the Final Four. McAllen High faces Houston Memorial in the state semifinals at 9:30 a.m. Friday. Lake Travis, which had scored five goals against Brownsville Rivera in the regional semifinals, was frustrated against McHi. Standouts Trinity Clark and Haley Shaw each scored twice against the Raiders but were held scoreless against the Bulldogs. Sola said the key is not overreacting against great attackers with skilled dribbling and shifty moves. Gonzalez played all five middle school sports. But with school responsibilities plus traveling for club volleyball and soccer, the talented athlete had to narrow down the sports she could devote her time to in high school. As a sophomore, she was named The Monitor’s All-Area Newcomer of the Year for her play for McHi’s volleyball team. Normally an outsider hitter, she made the shift to middle blocker for her high school team. Those drills and repetition paid off on the soccer field, as Gonzalez jumped to tap multiple balls over the crossbar and even punched a few centering feeds out of harm’s way. McHi coach Pat Arney made some adjustments over the course of the weekend. 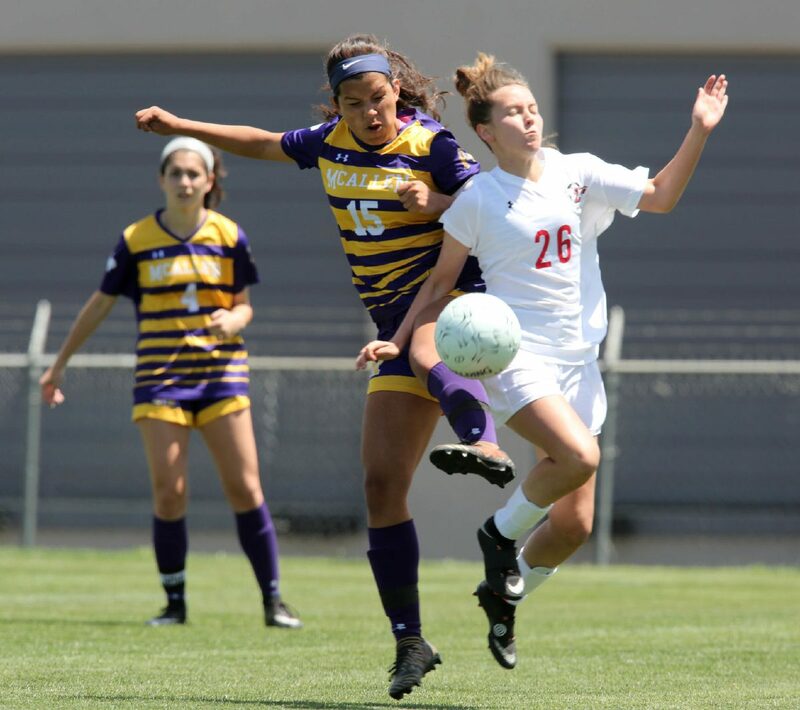 One move that paid off was shifting Zoe Flores from a more central position to the back line with her sister Rylie to add more physicality and speed against wingers. 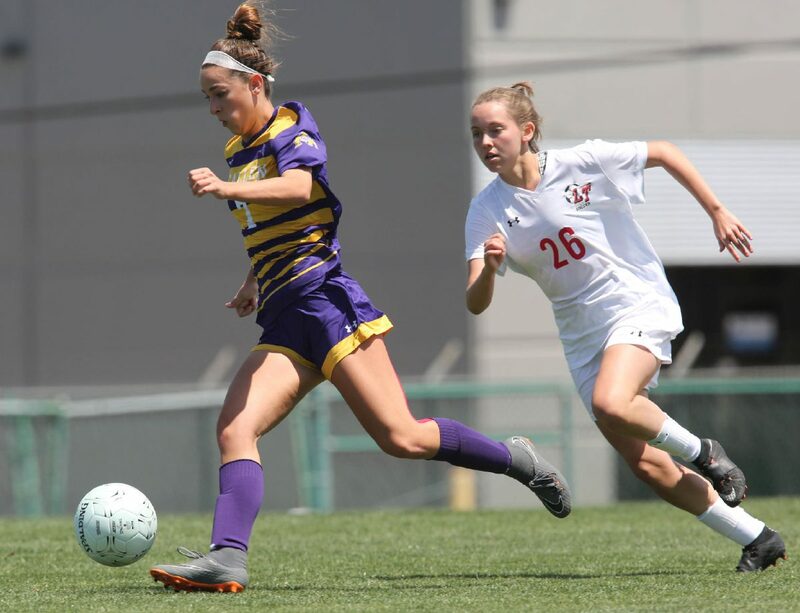 Along with defensive staples like Emily Gurwitz, McHi’s rotation on the back line proved effective, even against teams used to securing high-scoring wins.